Powerful guidance. In your in-box. Monthly. Get A Grip. Make Time! Managing time feels like trying to hold onto a jellyfish. It's slippery, amorphous, and elusive. Most people only have a vague sense of where their hours go. As a result, some people choose to work harder instead of smarter. They work more hours, longer days, and still fall short of all that is needed to get the job done. Frustration, lack of fulfillment, and exhaustion set in...and you can imagine how this then affects their health and, of course, their relationships with those they live and work with! My client, Barbara, was on a mission to double her business revenues this year. She had hit a plateau and was in total frustration with her business, and herself. "I was always working but had little reward to show for it. There just aren't enough hours in the day." 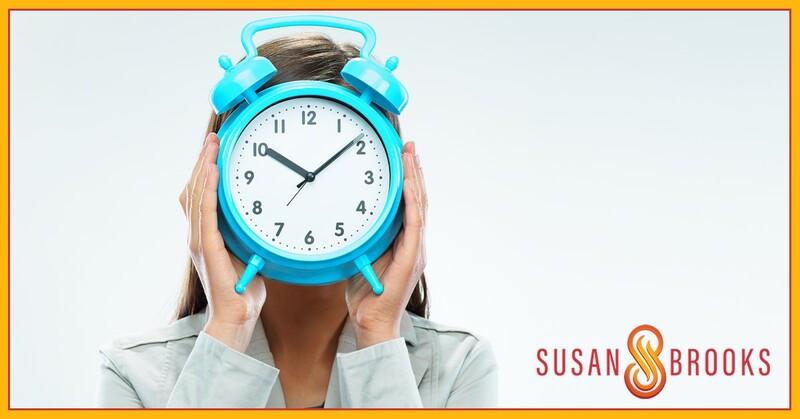 It is important, no imperative, to find the time wasters in your business and your day. For example, through our coaching sessions, Barbara realized she was spending way too much time on meetings and Boards that were more historical than relevant to her business now. When she added up the hours each month for meetings, drive time, and follow up time needed, Barbara did the tough job of letting go, saying NO, and delegating more to others. Bottom line: Barbara got a grip: she now has more than 7 hours a month available for her to use in revenue-generating time. This achievement is in total support to her ultimate goal to double her business revenue this year! Know what you want: Do you want to double your business revenue? Do you want to be home for dinner with your family? What's your Big Goal? Once this is defined, every decision, every action, contributes to achieving your goal. Know where you are now: You are HERE. Just like with any map, you need Home Base, where you are starting from. Keep a time log of your day for 2 weeks, noting every 30 minute increment. Keeping this log will tell you where you've been spending (or wasting) your time. Now that you've heightened your awareness, patterns will quickly identify your time leaks: distractions, interruptions, FB, phone, you get the idea. RescueTime App helps you record the exact amount of time you spend on any project or task. It narrows the zone of uncertainty and accountability, helping you make better decisions. Know your numbers: Just like a money log to help you budget your money or a food log to help you lose weight by knowing what foods you’re really eating, information is a powerful thing. A time log teaches you the significance of your time spent. If you find yourself in the weeds of your business...If you find yourself overwhelmed, exhausted, and unfulfilled at the end of your day, why suffer and struggle with time slipping through your days: GET A GRIP! Call me! Email me! Make time. Feel fulfilled with work that gets done. See my FREE profit-generating business strategies you can put to work NOW. Follow and like my Facebook page.